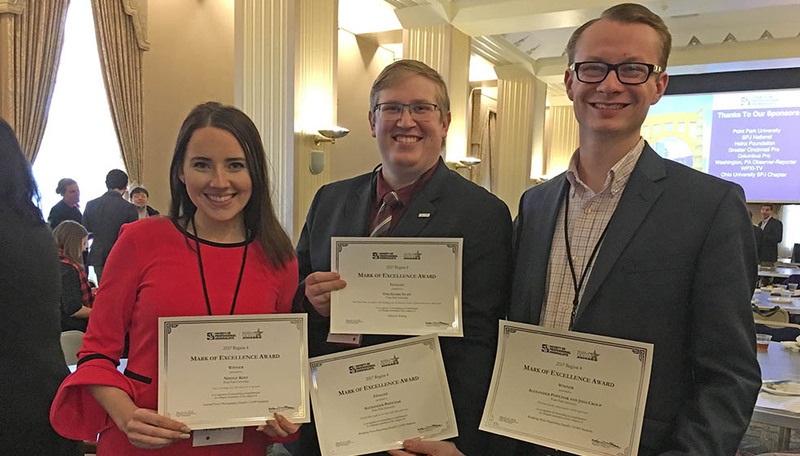 School of Communication majors were recognized for excellence in journalism at the Region 4 Society of Professional Journalists Conference at Point Park University during the spring semester. 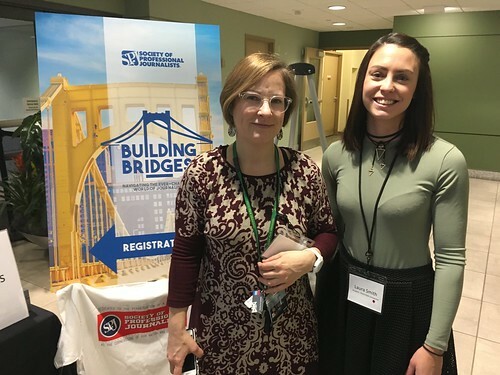 "'Building Bridges: Navigating the Ever-Changing World of Journalism' on our campus was a great success!" said Associate Professor Aimee-Marie Dorsten, Ph.D., and adviser of the SPJ chapter at Point Park. "Our students took home several Mark of Excellence Awards." "I'm so honored to represent Point Park's photojournalism program in this competition," said Nikole Kost, a sophomore photojournalism major from Kiski Area High School in Vandergrift, Pa. "I had stopped shooting for a semester because I lost myself in the midst of school and leadership positions, but this prestigious recognition was the boost I needed to feel inspired again." Nearly 100 students from Western Pennsylvania, West Virginia and Ohio attended the conference at Point Park. "To end my college career and have my last SPJ conference on my campus was phenomenal," said Josh Croup, a senior broadcast reporting major from Butler Area High School in Butler, Pa. "I had the chance to brag about our city/campus, be an ambassador to journalism students from around the region and spoke on a panel." Additionally, students had the opportunity to network with professionals in the field from WPXI, Pittsburgh Post-Gazette, WCPO, Pennsylvania National Guard, KDKA, PublicSource, among others. First place winners advance to the national competition Sept. 27-29 in Baltimore.